Bottled Beauty: "Don't Go To The Cosmetics Counter Without Me" Review + How Do My Beauty Products Rate?? 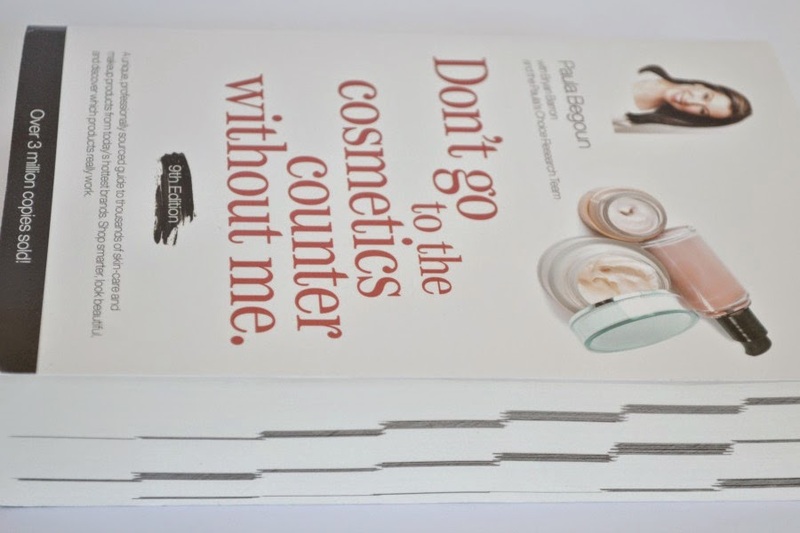 "Don't Go To The Cosmetics Counter Without Me" Review + How Do My Beauty Products Rate?? Unless you've been living under a rock for the last decade, you would have heard about Paula Begoun (affectionately referred to as the Cosmetics Cop) and her own brand of skincare "Paula's Choice." Paula started her cosmetics journey as a sales person behind a counter and hated the politics behind selling cosmetics. If a customer came to her and nothing in the brand she was supposed to sell would be useful, she would recommend another brand. She was told not to do this and it started her crusade of being a "Cosmetics Cop." Over the years she has uncovered the lies and marketing BS that brands try to sell consumers. She's released dozens of books that explain simply and easily if a product works and if it matches up to what a brand is claiming. I first heard about her when I saw her book in the library back when I was a teen. I devoured the book and learnt so much about how sneaky some brands can be with the truth. As a teen that was working a few hours a week and spending my pay on beauty products, it really opened my eyes. Recently I've used her website in helping to decide if I should buy The Body Shop Vitamin C Skin Boost as I was out of a vitamin C serum and had heard a lot of hype about The Body Shop Serum. In a matter of minutes I knew that it wasn't worth it. From using Beautypedia, I found out that it contains more fragrance than it does vitamin C!!! 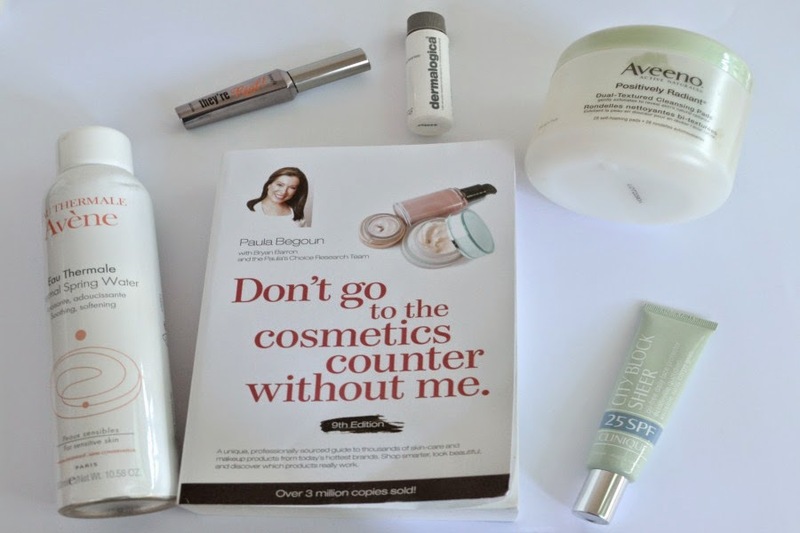 I was sent her latest edition of "Don't Go To The Cosmetics Counter Without Me" (her 9th Edition), which she has written with Byran Barron and the Paula's Choice Research Team. I've been enjoying reading it as it's simple and easy to read, even though it's heavy and there's a LOT of reviews in it. At the start of the book there's basic information on what every skintype needs, targeted solutions for particular skin types (eg acne, blackheads, dry, skin lightening) as well as creating a skin care routine for you. There's also information on how they do their skincare reviews and commonly asked questions. The way that the reviews are structured, is that the brands are in alphabetical order and their products are grouped into categories (eg powders, mascaras, sun care, toners, etc). So it makes it easy if you are quickly wanting to find out about a brand or a particular product. The reviews are quick and straight to the point. They have 4 categories in which they rate a product. Best, good, average and poor. They also have 3 dollar signs next to the overall rating to let you know if something is expensive. 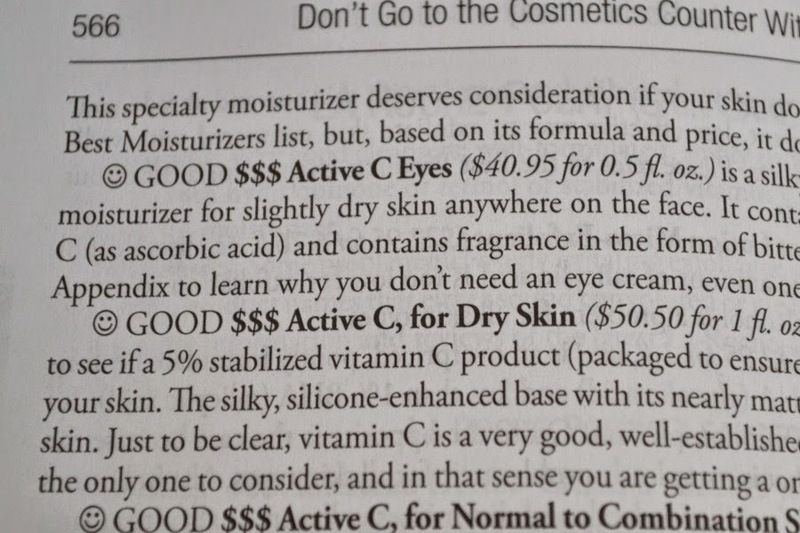 And finally at the end of the book, there's a list of "The Best Products" that have been rated the best skincare and make up. It's still advised to read the review to make sure it's the right product for you and your skin. One thing that some people don't like about the book is that they review the Paula's Choice line. Personally, I don't mind. The PC range is rated highly and that's because someone who calls out brands on poor products isn't going to release their own brand and make sub-par products. Their products go through the same testing routine that any brand would. I've used 3 PC products before and have loved them. 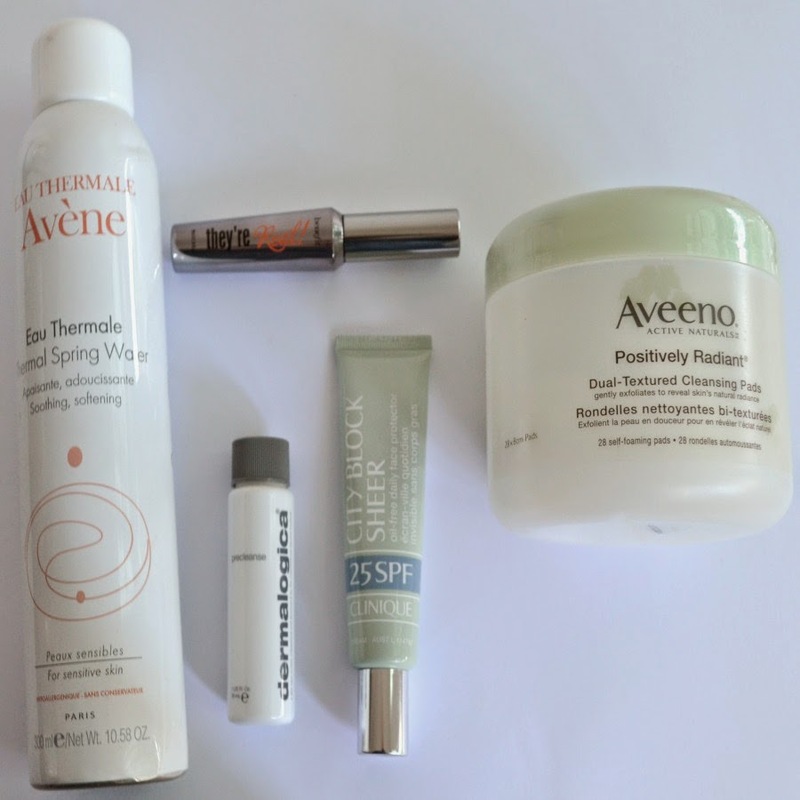 I've even reviewed 2 products on the blog before (here and here). I've been meaning to buy some more of her products (a repurchase of the Resist C15 Super Booster and the Resist Youth Extending Daily Mattifying Fluid SPF50) but I really need to use up what I already have first. These were given an "average" rating. Aveeno claims the moisture-rich soy extracts are designed to reveal skins natural radiance, but the book reveals that there isn't enough soy to amount to a single bean. I did like these, but I don't use cleansing wipes or micellar waters often as I prefer the feeling of washed skin and am more than happy to take the extra 3 minutes to use a cleansing oil/balm followed up by my cleanser. This was rated "good" in the book. They did mention that while the claims of looking like false eye lashes wasn't so, it does lengthen and thicken the lashes. It also mentions that the brush is larger and can be a little bit difficult to use. I agree with their review. It does help to lengthen, thicken and give my eye lashes more "ommph." I do find that I get smudging underneath when I use this, but for most people they don't have that issue. This was rated "best" in the book!! Which makes me happy as I'm currently using it. The book suggests this is for those with normal to dry skin, sensitive skin and those suffering from rosacea. They also say that its "slightly tinted to offset the whitening effect from the amount of mineral sunscreens it contains." I actually thought that it was tinted so it could be used by itself while also giving a very small amount of coverage for those with less than perfect skin.... you learn something new everyday! This was rated "poor" in the book. The book mentions that it's just "a mix of trigylceride with several non fragrant plant oils. Also included are two forms of lavender and forms of citrus that serve to fragrance the product and irritate skin. For the money, irritant-free jojoba or olive oil is preferred." I was really surprised by this rating. I've used this and loved it! It didn't irritate my skin and left my skin feeling clean. The only reason why I never bought it is because of the price. It's $52.50 for 150ml. I would prefer to buy the Dr LeWinn's oil cleanser which is only $30 for 200ml. This was rated "poor" in the book. The book says this is marketing at its best. That "there is no reason to consider this toner unless you believe that Avene's thermal spring water is the answer for your skin." Personally I LOVE this! I use it as my toner as I find it feels refreshing and calming on my skin. While I know it's pricey for "water in a can," its something that I'll continue to use and love. This was rated "poor" in the book. While it contains pure vitamin C, it was concerned over the amount of potassium hydroxide, which can cause dryness and irritation. I know quite a lot of bloggers loved this when it was first released but I had a reaction to it. After reading about it in the book, it's made me now look out for products that also contain potassium hydroxide as it can be an irritant for me. Paula's Choice also has an online beauty review on their website here. It's a useful tool, even if you have any of her books, as it has reviews of newer products. I would love for Paula and her team to do an Australian version, with only Australian and New Zealand brands featured. There are some incredible brands available here that I would love to get her opinion on. To sum up, this book (and her online Beautypedia) is a great resource tool. It won't make me not use/buy all the products that she deems poor or average, but it does give me the knowledge of knowing if a product does live up to its hype. I've found I use this more to check up skincare rather than make up. Skincare claims seem to be more "out there" so it's great having someones opinion on if the ingredients work or if there is enough of "x" ingredient to live up to the marketing. Make up seems to be a lot harder to review since it's such an individual feeling. One person may love a mascara, while it might not work for another. I'm now wanting to buy her other book "The Original Beauty Bible" to learn more about the science of beauty. The PC team also has an AMAZING youtube channel that I've been subscribed to for a while. They have a mixture of talks on ingredients, reviews on products and how to's. I love to listen to the videos when I'm cooking dinner as I ALWAYS learn something new. If you only follow one youtube page, make it THIS!!!! Have you ever used the online Beautypedia or read any of her books? Have they made you rethink a beauty purchase. Thankyou for sharing. I actually hadn't heard of Paula's books before, but I am very intrigued. If course I've heard of the book and Paula's choice, but I didn't know they were the same people! I've seen this book though have not yet had the opportunity to read it. If only it was an ebook or online membership thing. Great write up on the book Amy and I love how you went through some of your products and what Paula said about them. I am really interested in purchasing this after reading your review. I subscribe to them on FB and always find their reviews really interesting and informative. I've looked on the website previously when considering a couple of purchases, but I believe that it's like every product, where certain products work on some people and not others.